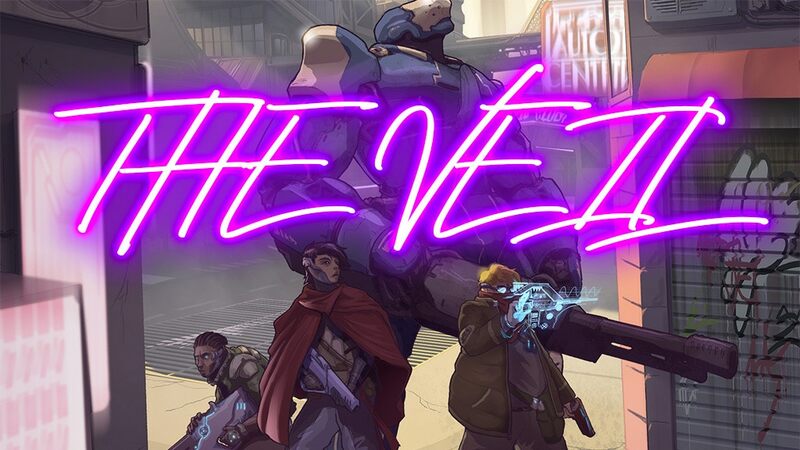 The kickstarter for The Veil: Inheritance, a biopunk rpg that's one part Cowboy Bebop and one part Blade Runner went live early today. I don't see it listed here, so apologies if I'm multi-posting, but Flying Buffalo is publishing a new printing of Mercenaries, Spies and Private Eyes, a Tunnels-and-trolls based game for pulp/detective roleplaying. The goal is to include all the material from the first and second printings into an omnibus edition. I used to be Ovid. Casket Land, an occult-western, PbtA zine, is entering its final hours and, if it hits 20K, will include a cloth screen print of the setting map with every physical order! Finally, a game that I can use to play Exalted without my head exploding! And I'm sure you guys can figure out uses for it as well. Heroes of Terra: The Mushroom War is in its final week on Kickstarter! We still have a ways to go, but I think we can do it if people chip in and spread the word! GMs looking to quickly and easily create gorgeous regional-scale hex maps for their RPG campaigns should check out this "software + mapping content" combo. Click on the image below to check out the Kickstarter campaign, which has already surpassed the minimum funding goal. The software, which runs on Windows and Mac OS X (not on mobile devices), is already developed and available; the crowdfunding campaign is only to fund the development/porting of the new hex tile mapping content. There are no shipping costs involved, since it's all digital downloads. Quick delivery of rewards is expected (April). The campaign ends on March 25, 2019. BEINGS from BEYOND is your guide to these entities, known to mortals as Angels, Demons and Devils. Part bestiary, part setting supplement and part adventure generator; the full book will be at least 120 pages long, in a starkly beautiful black-and-white style. Within its pages are scores of random tables for generating everything from Demonic cults to extra-dimensional paradises, re-imagined mechanics ranging from summoning to madness, and plenty of evocative lore to help you involve these awe-inspiring creatures in your tabletop role-playing adventures. Statistics are included for 5th edition, but the book is compatible with any fantasy role-playing system. If the prospect of dreams and nightmares from other dimensions interests you, make sure to check out the Kickstarter campaign. If you wish to glimpse into the BEYOND, and see what horrors and wonders lie in store for you there, sample pages from the book itself can be found here for Demons,Devils, Angels of Chaos and Angels of Order. I am doing enamel pins based on classes and focuses. Apologies if it doesn't belong here. Thank you for looking. New from Battlefield Press, a new fantasy setting based on the Spellmonger series by the New York Times bestselling author, Terry Mancour. This will be for the Pathfinder 1e and D&D 5e role playing games. The RPG books will include a great deal of content including new Archetypes for classes, especially for the various types of magic users, information on how the existing classes fit inside the world of Callidore, write ups on the pantheon of Callidore, new spells and magical developments, including how divine magic works in the realm, information on the Censorite, an organization of magic users designed to limit the abilities of mages, write ups on non-human races such as the Alka Alon, the Karshak Alon (the Stonesingers), the Gurvani, and others, and a bestiary of Callidore. Come see the world of Minalin the Spellmonger. Experience its history and learn how the events in the novel came to be. 122 backers to go, on a average $30 pledge. There are 10 more days to go. I believe this is a possibility, and would like to see this project fund.